Folds and Creases: Folded twice as issued to cinemas. There is an additional fold crease that goes the length of the poster roughly down the centre however this is mainly noticeable from the back of the poster. 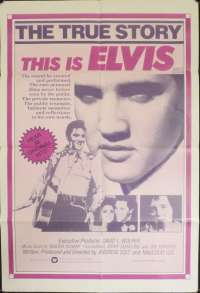 You can see evidence of it at the top third of the poster but the poster still presents very well with the excellent image of Elvis approaching his 1970's image.